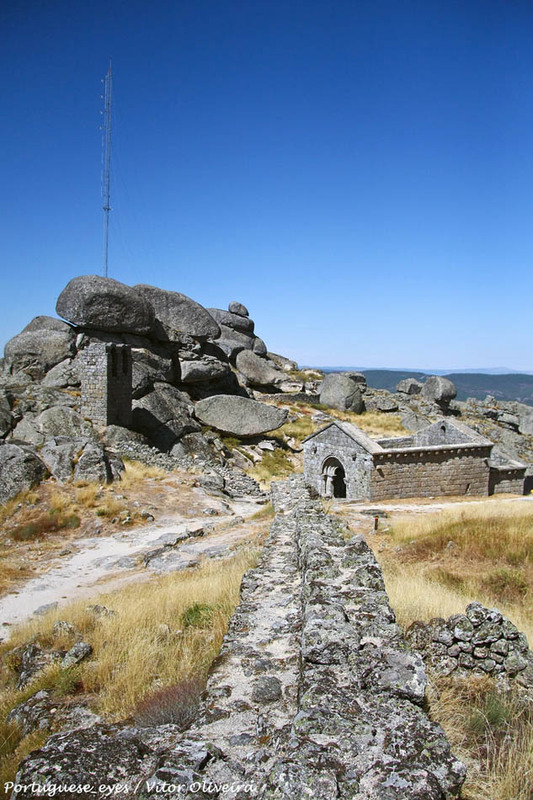 Monsanto Castle is an impressing fortress from the 13th century made of stone and located in a rocky hillside, near the picturesque hamlet of Monsanto, in Castelo Branco, Portugal. It is a flawless place, permanently battered by the wind and full of wild flowers and lizards. From its walls you can get spectacular views that even reach Spain to the east and Barragem de Indinha to the Southwest. The walled perimeter includes the Templar church of Santa María. It is likely that a previous fortress already was in place before the arrival of the Romans, but once that King D. Sancho I expelled the Moors in the 12th century, it was expanded and King D. Dinis re-fortified it. However, after several centuries of border skirmishes and attacks, it was in a ruinous state. Next to the castle is located the Capela de São Miguel Chapel, Romanesque in origin and with several sarcophagi carved in the rock.